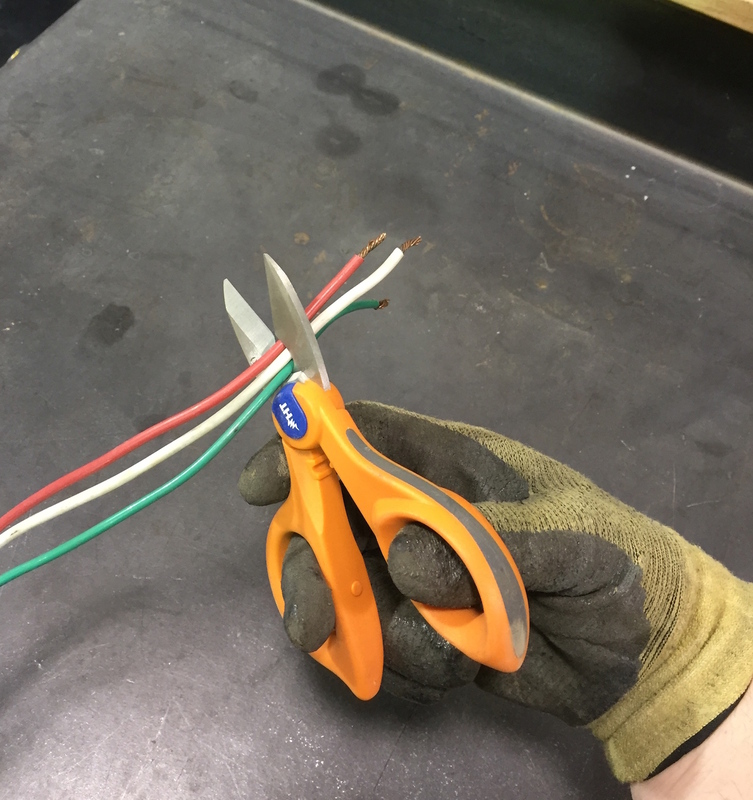 Cutting small-gauged wires with a pair of electrician’s scissors is often required. These scissors are designed to cut thicknesses up to 12 AWG solid wire and up to 10 AWG stranded wires. The scissors are designed with a serrated surface on the back of the blade to clean wires and a stripping notch to help you quickly strip wires when the need arises. 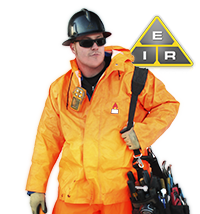 They are ideal for telephone wires and other electrical service applications. Electrician’s scissors are made of high quality carbon steel and put through a special hardening process to make them more durable. They are then nickel plated to give them a clean, professional look. The scraper and file on the back, along with the serrated edge, help clean up wires. The scissors hold the edge, even when cutting fiber and Kevlar cables. This is a special pair of scissors featuring an ergonomically designed ring to provide extra power and reduce fatigue and strain on your wrist. The scissors fit comfortably in the power part of your hand to produce a cleaner, quicker cut with the least amount of effort. The bottom of the blade is serrated from end to end to aid in gripping cables and wires. Electrician’s scissors are tough and cut through just about anything, but they are not usually designed to be resharpened. Basically, once they get dull, you have to toss them and buy a new pair. This may sound wasteful, but the time you waste trying to cut wires with a dull pair of scissors is far more valuable than a new pair of scissors. Some of the more expensive brands hold up better. This may be a good investment if your job requires plenty of cutting. Aside from the blades, the pivot takes the biggest beating, especially when positioning the wires close to the center, which you will most likely do quite a bit. Placing the wire close to the pivot gives you more cutting power, that is why most people, not just electricians, generally place difficult to cut materials as far up to the middle as possible. Too much wear on the pivot will cause the electrician’s scissors to loosen and eventually fall apart. You may think it would be wiser for scissor manufacturers to make the pivot with a screw that can be tightened. Sounds good in theory, but not very practical. You would waste more valuable time tightening the screw than the scissors are worth. Plus, the more you tighten the screw, the faster it will become stripped. Sometimes the blades may become a bit sticky. When this happens, simply clean the blades with adhesive remover. Oiling your scissors occasionally might prevent this. In the case of dings in the blade, just file the flat side of the blade until the ding is gone. If this doesn’t work, you may have to sharpen the blade. Due to the angle of the blade, dings are quite rare under normal working conditions, but it may happen. The angle of the blade and the overall strength of the electrician’s scissors are the main features that set one pair apart from another. The most expensive is not necessarily the best, although in most cases the higher the quality, the higher the price. For about $30 you can get a good pair of electrician’s scissors that will suit you just fine for most jobs. Another important feature is the handle. Some styles fit snugly into your full hand, while others can be used by just the tips of your fingers. This is extremely helpful when working in tight quarters where you do not have enough room to squeeze in your whole hand. One version, designed to give you additional leverage for tougher jobs, has a multiple finger handle. Many times you will find that a good pair of diagonal side cutting pliers or wire cutters are much better suited to the situation than electrician’s scissors. So far, one tool that is perfect for every situation has not yet been invented. 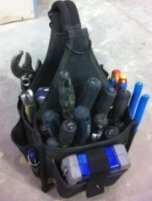 That is what makes a well-stocked electrician tool pouch so important. You will often find yourself switching between tools. 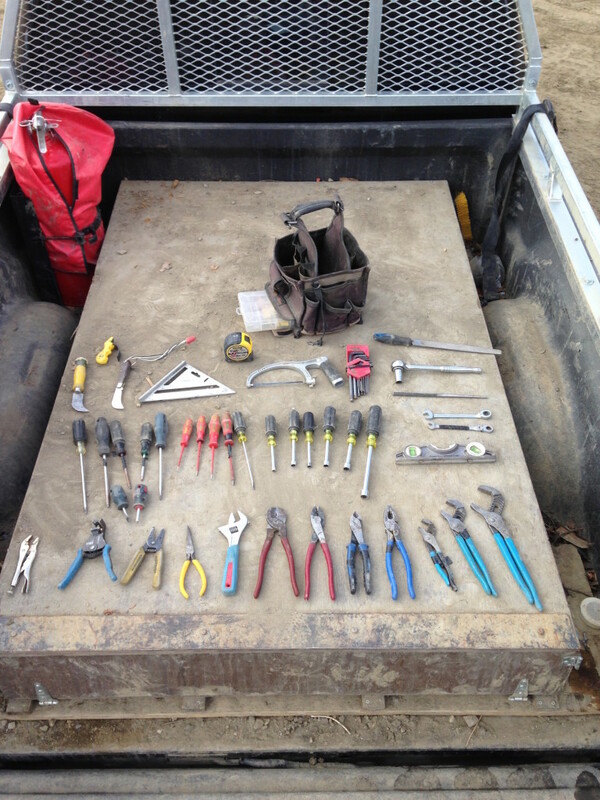 When you buy your first set of tools, ask a professional what he uses. A professional electrician has probably tried just about every brand on the market. He then settles in on his favorite brand, and buys all of his tools from this manufacturer. This tells you that this is a good, reliable brand. One thing you will quickly notice is that one pair of electrician’s scissors is not enough. You may come across situations that require one type or another. One pair may be small for a certain job, another may be too big. But in many cases, you will misplace them. Instead of spending half the day trying to remember where you left them, pull out your spare pair of electrician’s scissors and you are good to go. Kits to best suite your needs on the job.